-Heat the vegetable oil . Then add the garlic and green chilli into the same pan, stir fry until the garlic turn slightly golden in colour (but not burnt). -Add the mince pork, dark soya sauce and 1/2tbs of sugar into the same pan and stir-fry until the mince pork cooked. -Add the aubergine, fish sauce, oyster sauce and the rest of the sugar. Gently stir-fry until the aubergine soften/cooked (approx. 15-18 minutes). Add the water a little by little in between to prevent the ingredients getting burnt. -Garnish Pad-Ma-Kuer with sesame seeds and coriander leaves. 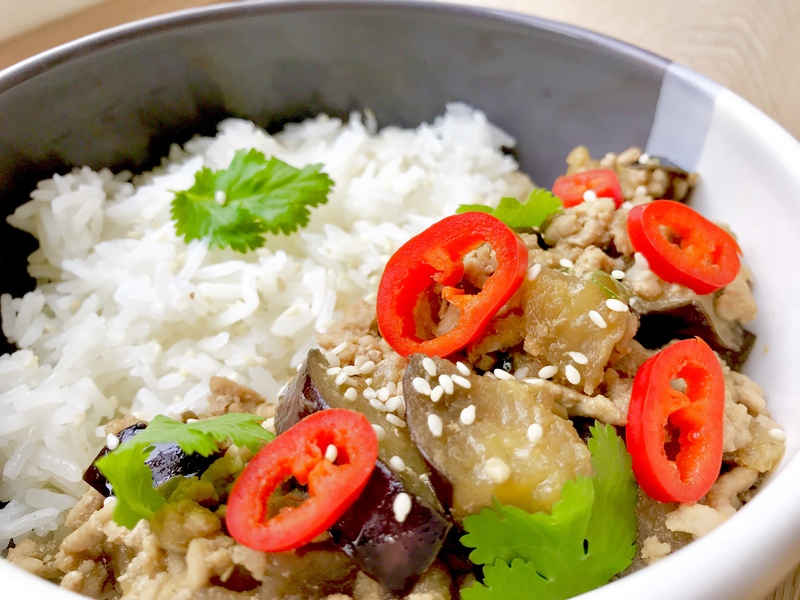 Serve this delicious aubergine and mince pork dish with Thai Jasmine Rice. -Stir-fry is all about timing make sure you put the right ingredients at the right time and be patient. -Adjust the heat accordingly; turn the heat up when you first put the meat or vegetable into the pan. Turn the heat down if you think the mixture might get burnt quickly. 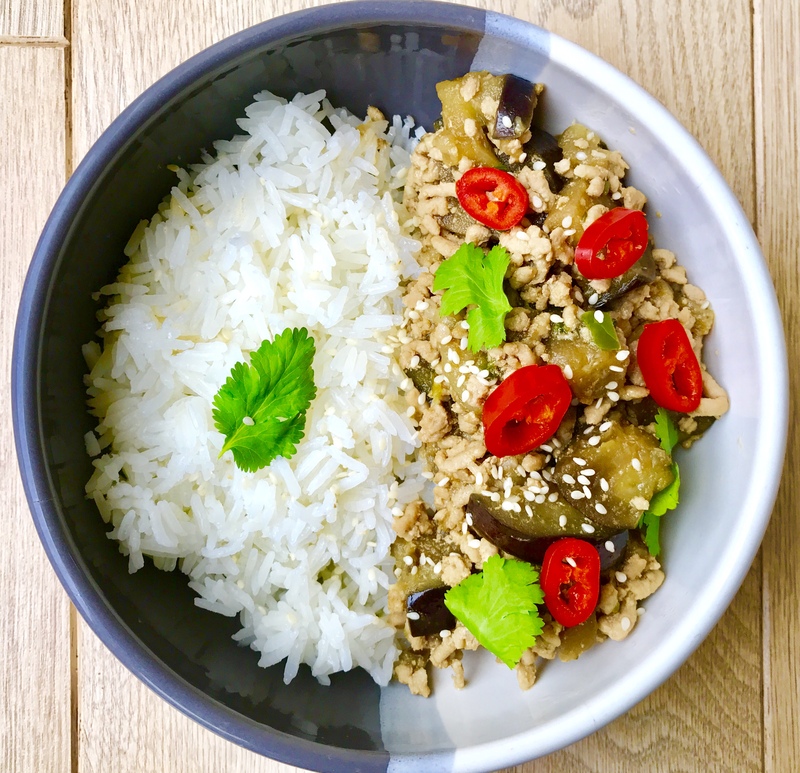 Pad-Ma-Kuer is great as a quick and easy mid week dinner, enjoy.